A historical account describing the great salmon fishers of the Dee and Spey has just been released by angling enthusiast Iain Ogden. In over forty years of regularly casting a line over the length and breadth of both the Dee and the Spey the author has befriended countless fishers, ghillies, factors, and lairds; collectively they were privy to a wealth of local salmon angling knowledge and insight. Hours were spent in factor’s offices, castle libraries and estate mansions investigating potential material in an effort to determine total numbers of salmon caught, details of monster fish, record bags and photographs of note on each prospective protagonist. Additionally, the author has gathered together a host of amusing stories, quotes and anecdotes to humorously punctuate a book describing the angling lives of Great Salmon Rods of the Dee and Spey. The author, who lived on Deeside for 25 years and fished widely on rivers throughout Scotland, has previously published a memoirs book Casts on the Dee and Spey. He first began fishing for salmon while studying at the University of Aberdeen in the early 1970s. Then, as a microbiologist in a Government Fisheries Laboratory, he moved to Deeside and landed his first Dee fish. By good fortune he was invited, for 28 seasons, to fish the nearby prestigious waters of Tilbouries and Park before the days of commercial letting. Mr Ogden explains, “It was here I witnessed the last of the great early spring runs of salmon in a river often beset by ice and where huge catches were commonplace. The owners of both estates had an extraordinary passion for their fishing and were willing to share a host of tantalizing records and stories which served to kindle my early interest in historic salmon catches. Unwittingly, these same lairds were the first of what I now define as Great Rods”. The book, which is being released in time for the Christmas gift market, is a must for anyone with an interest in salmon fishing or with an affiliation with either the R. Dee or R. Spey. It’s available by contacting the author himself (alta303@gmail.com), £25 +p&p. 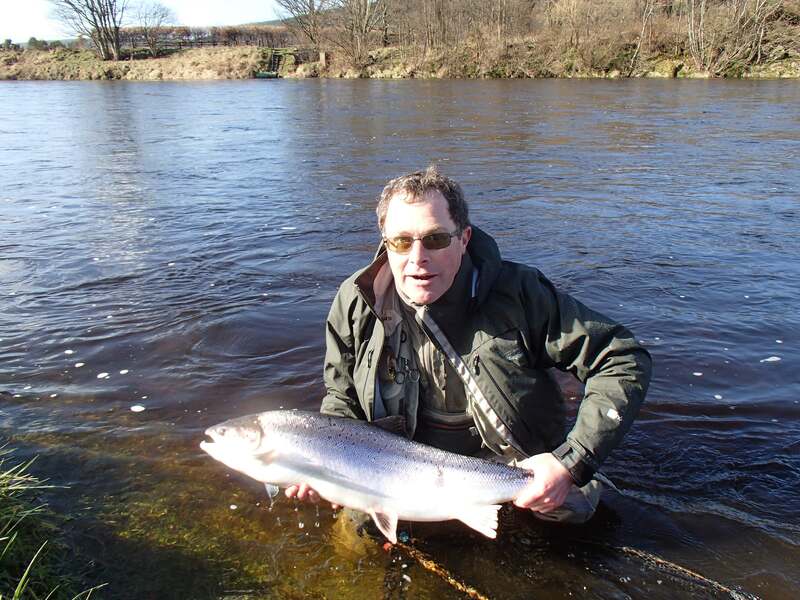 Iain D. Ogden has fished extensively throughout Scotland and Norway and has landed over 1,000 salmon. Thanks for sharing. It looks like a great read. Well it looks like I have a good read ahead of me! My limited edition copy (no.84)-signed copy- arrived yesterday. The cold winter nights aren't looking so bad after all. Got my signed limited edition copy the other day No 82. Looking forward to a good read. This is not a book for taking on holiday though. It is heavy. Almost as heavy as some of the huge salmon that grace its pages. I got my signed copy the other day too - No.81. Didn't think it was that heavy, unless you compare it to my last Spey fish this year which was the smallest I've ever seen. Finnock sized it was. And since you're comparing descending book numbers, no. 80 has gone to Spain! No. 79 to a gent of Swiss origin I believe. Thank you for your posts and your custom. I have also purchased a copy, just had time for a quick flick through it so far, but some great information in there. Thanks Graham, some grainy old pics of 40-50 pounders but some of the biggest catches described were from as late as 2003, so not all ancient history. Some of the big fish details might have been lost had I not ferreted about e.g. Jack Carr's 47-pounder from Park. Thanks again for the photos you supplied. Just finished reading the book and really enjoyed it. Great to read about the large catches of the past, how the run timings have changed, how even in the so called times of plenty there were also some very poor seasons, how wee skinny grilse have appeared before in the past and to see the big changes to the pools on some beats following major spates. I described Norman in an early draft as a genuine polymath but he thought that was an exaggeration. I changed the text at his request but think I was probably correct in the first instance. I've been corresponding with him this week and he's supplied more tales of his trips to Tulchan D and Park. A dry and humorous companion in the fishing hut his experience on the Dee and Spey is vast. On the Deveron also I should add. Glad you're enjoying the book so thank you for your feedback. Met Norman Mathieson a couple of times at Orton on the Spey where he fished quite regularly. A real character. Where did this out of the blue comment come from, I wonder? 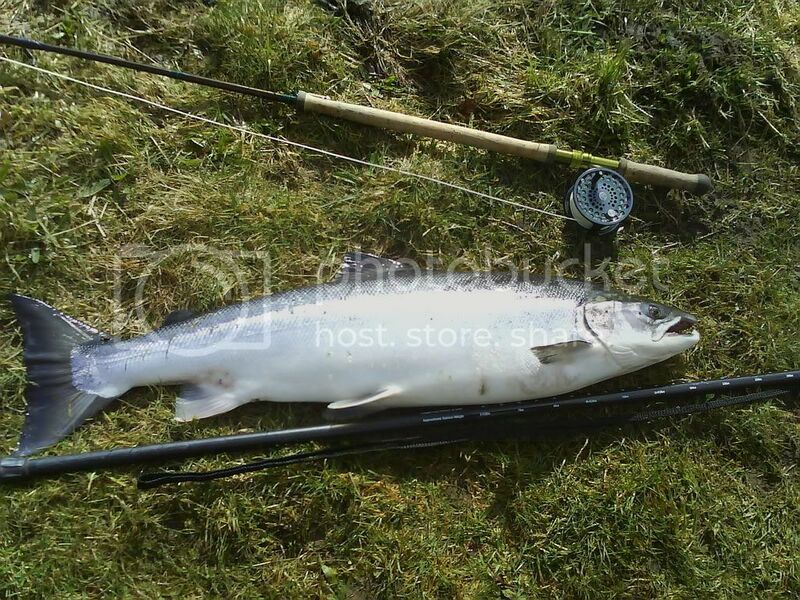 But you are right, Norman did indeed fish Orton, along with most other beats on the Spey. And the Dee. His favourite, like GF McCorquodale, was D beat on Tulchan. If any of you read the Leopard magazine you may have seen some of Norman's amusing stories, usually accompanied by wonderful cartoons. He no longer fishes as much as he once did but hopefully we will see him on the river next spring. Just purchased my copy. Some good reading over the festive period down in Africa. Thanks Bryan, Unless you're on top of Kilimanjaro I suspect the temperatures when you read the book will be very different to those experienced by the Great Rods when they landed their big fish! Hope these great spring days return. Thanks Iain, book arrived yesterday. Just finished reading my own copy last night. A very interesting read indeed( especially over a wee dram) and well worth buying if anyone else on the forum needs a recommendation. But what are you going to read over Christmas now? Or is there no whisky left anyway? A friend has a book coming out on the History of Salmon Angling on the Thurso, I know you fish there but it's not due out till the spring so you'll have to wait a wee while yet. Available from Medlar Press, author is Malcolm Dutchman-Smith.